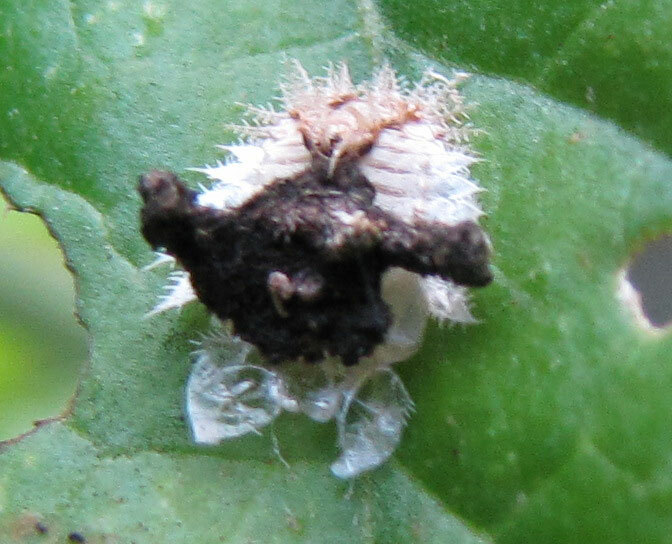 The Clavate Tortoise Beetle or Plagiometriona clavata is in the Tortoise Beetle tribe of Cassidini. These fascinating creatures have two layers. 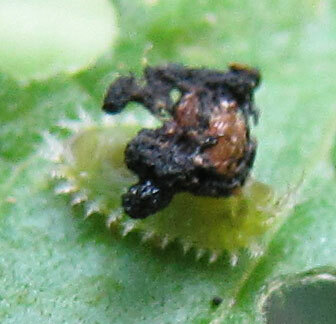 One is the green underlayer with the legs and antennae. 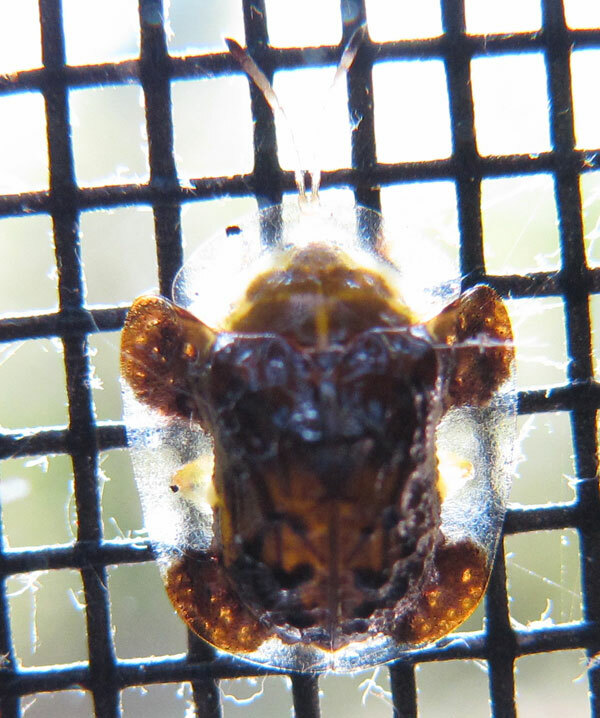 On top of that they wear an armor of sorts - it's black and shaped sort of like a frog on a clear shield. This top area then molts off and the underneath part goes on with life. 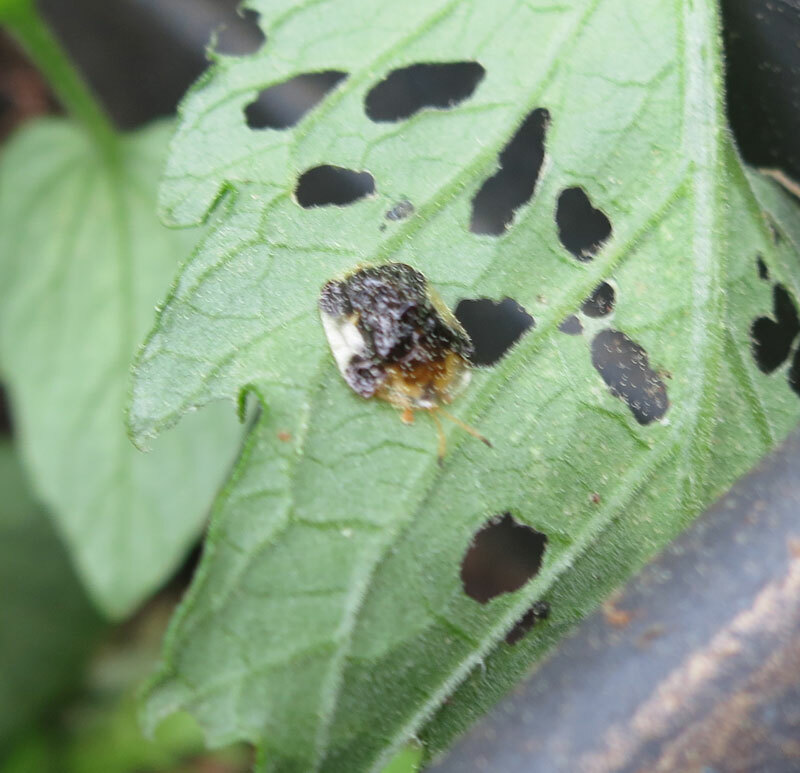 Tortoise beetles LOVE tomato leaves and pepper (jalapeno) leaves. They nibble holes in them like crazy. 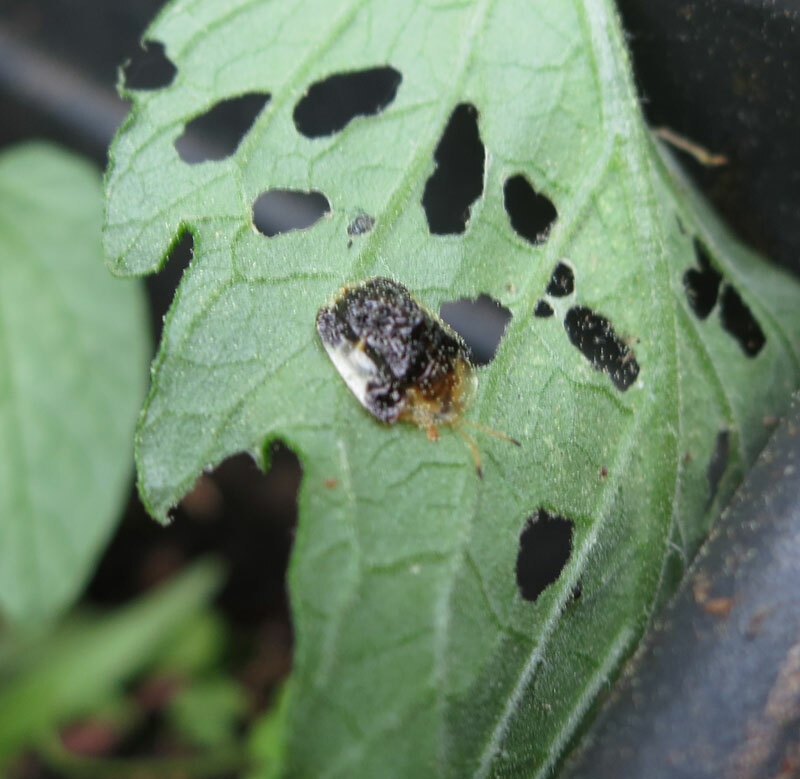 When you're looking for the tortoise bug you have to look both on the top and bottom of the leaves. 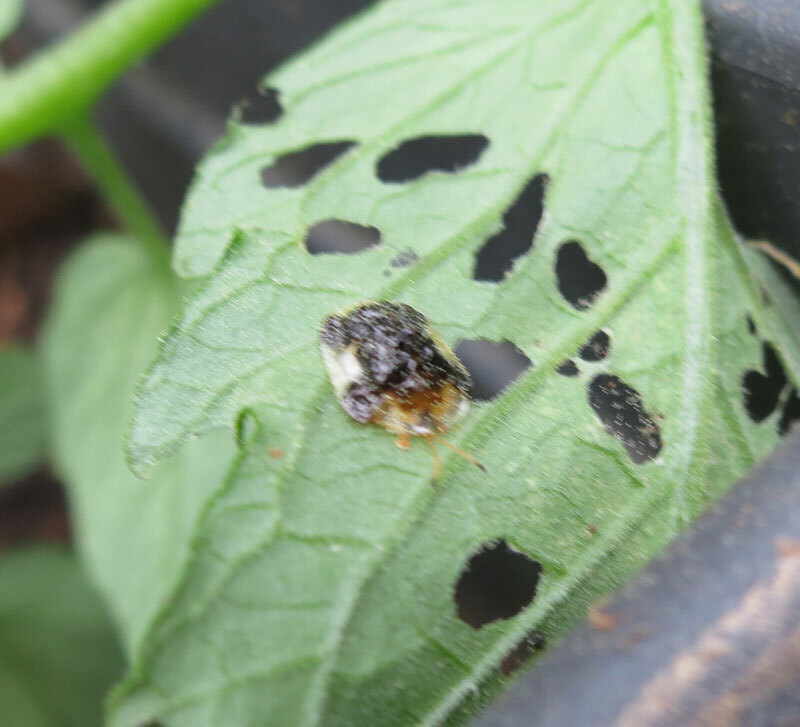 Tortoise beetles love to hang out on the bottoms of leaves. 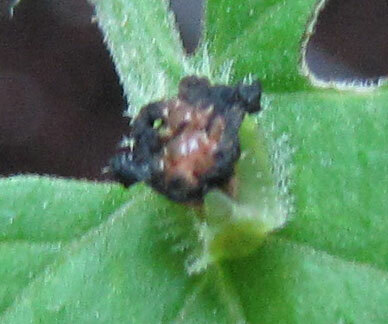 Just check the leaves each morning and drop the beetles you find into a small pot of soapy water. This cool photo that Bob took shows the black "stuff" on top before it gets crinkly. This was taken a week or two before the next photos. 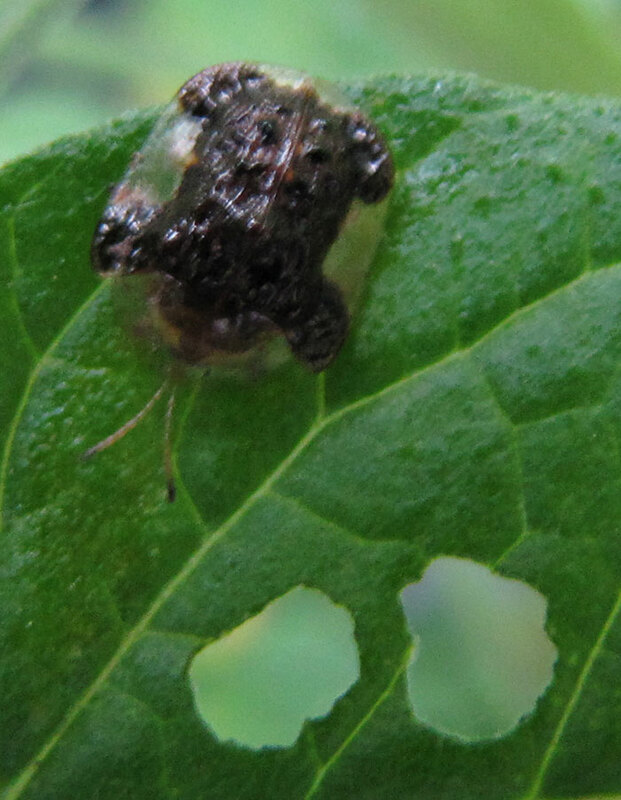 In these next photos you can see the beetle going through its molting process. In this next photo you can see that the slug caterpillar has moved on to a new form, leaving behind its shell. 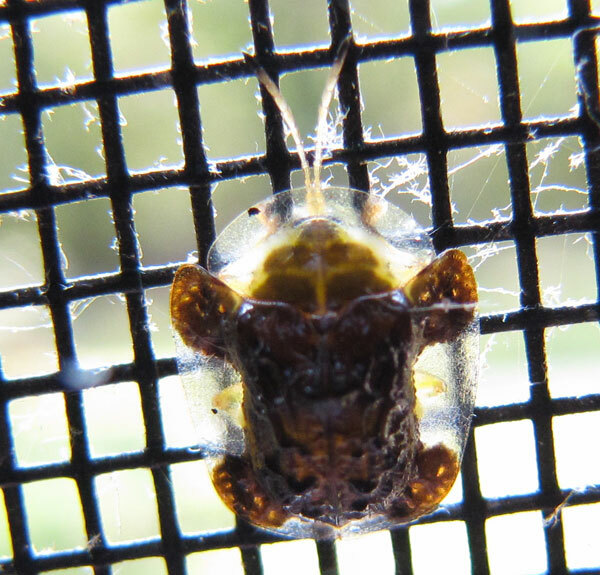 These two were taken in late September, when a tortoise beetle had gotten onto our screen! 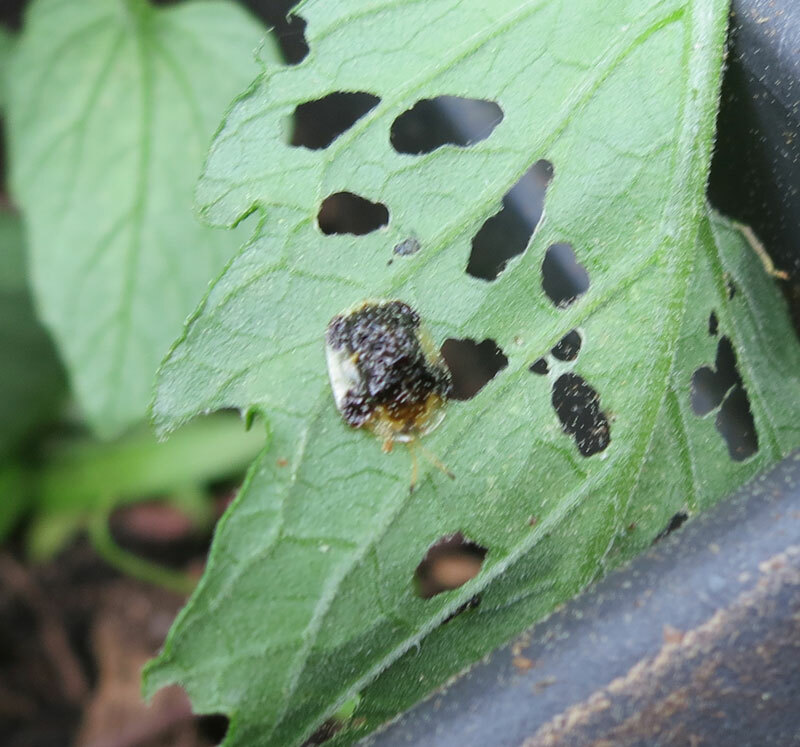 These are from June 2014 - we had a bunch of them on our tomato plants and pepper plants. 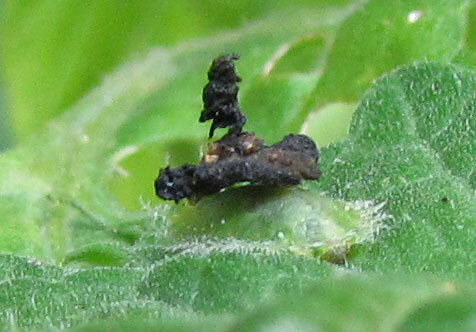 These are one on a tomato plant. I would pick off a dozen a day.